Maria Montessori, the Italian physician who founded the Montessori Method of education in the early 1900s, was ahead of her time in promoting many principles now considered part of natural parenting. Dr. Montessori encouraged ecological responsibility, love of nature, and healthy living. I’m writing today, though, about her contributions regarding attachment parenting and natural learning. There’s been some controversy about whether or not Dr. Montessori would have encouraged attachment parenting. From a few Montessorians, many have gotten the impression that Maria Montessori was against attachment parenting and its concepts of babywearing and extended breastfeeding. When my children were little, I ignored any controversy and followed Dr. Montessori’s advice given in her book The Absorbent Mind. Referring to the same controversy and quotes from The Absorbent Mind, Wide Open on the Mommybahn published a post called “Surprising Quirks of Dr. Montessori: She was into AP!” I have to agree. [L]et us think, for a moment, of the many peoples of the world who live at different cultural levels from our own. In the matter of child rearing, almost all of these seem to be more enlightened than ourselves – with all our Western ultramodern ideals. Nowhere else, in fact, do we find children treated in a fashion so opposed to their natural needs. In almost all countries, the baby accompanies his mother wherever she goes. Mother and child are inseparable . . . . And this lasts for the whole period of maternal feeding, which is the reason for this close alliance. For the mother has to feed her child, and therefore she cannot leave him at home when she goes out. To this need for food is added their mutual fondness and love . . . . Mother and child are one. All the great human groups, nations and races, have their individual differences; for example, they have different ways of carrying the baby . . . . In most parts of the world, mothers put the baby on a small bed, or in a large bag; they do not carry him in their arms . . . . Some hang the child from their necks, others tie him to their backs, and others again put him in a small basket; but in all countries mothers have found a way of taking their children about with them. One observes, too, that the little one, going about with his mother, never cries unless he is ill or hurt in some way. Sometimes he may fall asleep, but he does not cry. Yet the crying of children is a problem in Western countries. How often do we hear parents complain of their children’s incessant crying? They discuss what to do to quieten the baby, and how to keep him happy. The reply of modern psychology is this: “The baby cries and becomes disturbed, has screaming fits and rages, because he is suffering from mental hunger.” And this is the truth. The child is bored. He is being mentally starved, kept prisoner in a confined space offering nothing but frustration to the exercise of his powers. The only remedy is to release him from solitude and let him join in social life. This treatment is naturally and unconsciously adopted in many countries. With us, it must become understood and applied deliberately, as a result of conscious thought. Another point is the custom of prolonging the period of maternal feeding. Sometimes this lasts for a year and a half; sometimes for two, or even three years. This has nothing to do with the child’s nutritional needs, because for some time he has been able to assimilate other kinds of food; but prolonged lactation requires the mother to remain with her child, and this satisfies her unconscious need to give her offspring the help of a full social life on which to construct his mind. At the same time, Montessori places an emphasis on giving babies freedom of movement. In Montessori-style parenting, a low bed (mat) on the floor is recommended to allow your baby to sleep when he or she wants and wake up free to explore. A whole room can be babyproofed and gated, allowing your baby a much larger area than a playpen. If you’re in the room with your baby, he or she will still have freedom along with the security of knowing you are nearby. I used a mixture of freedom to explore and babywearing when my children were babies. Although Dr. Montessori made many great contributions to education, I think Montessori’s greatest contribution was her emphasis on following the child. She encouraged teachers and parents to observe the child and follow the child’s interests. Montessori education is naturally a system of individualized learning. Let us leave the life free to develop within the limits of the good, and let us observe this inner life developing. This is the whole of our mission. In many ways, Montessori education is a very real, organic way of showing your child respect. Maria Montessori encouraged adults to recognize and respect the child’s need for truth and reality. She emphasized providing real, child-sized tools to acknowledge and support the child’s need for work which develops order, concentration, coordination, and independence. That humanity which is revealed in its entire intellectual splendor during the sweet and tender age of childhood should be respected with a kind of religious veneration. It is like the sun which appears at dawn or a flower just beginning to bloom. Education cannot be effective unless it helps a child to open up himself to life. [E]ducation is a natural process carried out by the human individual, and is acquired not by listening to words, but by experiences in the environment. Deb Chitwood is the mother of two adult children with college degrees who were homeschooled through high school. 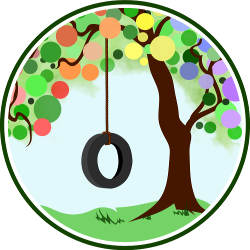 At Living Montessori Now, Deb shares information and encouragement for parents and teachers in her posts about Montessori education, homeschooling, and natural parenting. Thanks, Lauren! I always love that Maria Montessori discovered so much truth about children just by observing them – and children appreciate natural parenting! Thanks so much for your comment, Melissa! I LOVE that quote by Peggy O’Mara – lovely and so true! Thank you, Deb! Would you recommend The Absorbent Mind as a good first read of Montessori’s work? I’d be grateful for any suggestions! Thanks for your comment, Rachael! The Absorbent Mind is good if you want to read Dr. Montessori’s ideas in her own words. The book I typically recommend parents read first, though, is How to Raise an Amazing Child the Montessori Way because it has an overview of Montessori principles and lots of practical ideas for using Montessori principles at home. Here’s a link to a review I wrote about the book: http://livingmontessorinow.com/2010/06/17/how-raise-amazing-child-montessori-way-book-review/. Thanks for your kind comment, Angie! 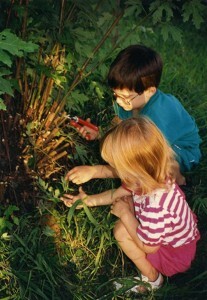 Being an avid outdoor enthusiast does fit very well with Montessori principles, natural parenting, and all good things! Thanks so much, Jessie! And I appreciate your sharing my article with your friends! Thanks for your comment, Melissa! I have lots of activities and Montessori information at Living Montessori Now. Here’s the link to my Activity of the Week posts with many Montessori-inspired activities: http://livingmontessorinow.com/category/activity-of-the-week/. I really advocate using practical life activities with 2 year olds because they help so much with order, concentration, coordination, and independence. I have a category for Activities – Practical Life. There’s also a Montessori Techniques category that you might find especially helpful. I even have a giveaway right now of an online Montessori training course and 12 Montessori albums full of curriculum (open through February 8). Introducing your son to Montessori activities at age 2 is great! Have fun! WOW i was reading ‘Montessori from the Start’ by Paula Polk Lillard and Linn Lillard Jessen and came across a section on sleep, and it really got me upset as they were practically endorsing controlled crying. im very glad i read your post as i love the montessori philosophy and attachment parenting, but didnt really think that they could go together. Thanks for your comment, Kitti! I think that was part of the controversy around Montessori and attachment parenting. To me, it just makes sense to go with what Maria Montessori said in the Absorbent Mind – and to go with our parental intuition about what’s right for our own children. Hi Meg! I just saw your comment and read your post. Thanks so much for the link … great post! I really liked this article and wasn’t surprised when I saw that it was written by Deb at LMN! 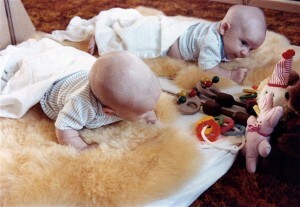 I love your blog and it was very interesting to read about Montessori and AP! I am mother to a 22 month old and only just discovered the montessori approach. Love this website. Thank you! A question…. how does montessori look at a child’s sleeping regime? How do you handke/approach a child who does not sleep through the night? Iv read so much about how important sleep is. I presume there must be an alternative to control crying. Any direction will be appreciated. Thanks in advance.